Most all of you know the sickening pattern. Wicked, evil person hiding in the church behind a disguise of “saint.” He victimizes the innocent who then cry out for justice. Victims are marginalized, disbelieved, silenced, and even thrown out of the assembly. The evil one? He is not only allowed to remain in the church, but he is often coddled, pitied, and even put into a ministry position? Why? Why this same evil mantra pattern? Over and over it happens. Why? Let me tell you. I believe I know the answer. First, read the following account of two deceivers in the early church – Ananias and his wife Sapphira. Act 5:1-11 But a man named Ananias, with his wife Sapphira, sold a piece of property, (2) and with his wife’s knowledge he kept back for himself some of the proceeds and brought only a part of it and laid it at the apostles’ feet. (3) But Peter said, “Ananias, why has Satan filled your heart to lie to the Holy Spirit and to keep back for yourself part of the proceeds of the land? (4) While it remained unsold, did it not remain your own? And after it was sold, was it not at your disposal? Why is it that you have contrived this deed in your heart? You have not lied to man but to God.” (5) When Ananias heard these words, he fell down and breathed his last. (10) Immediately she fell down at his feet and breathed her last. When the young men came in they found her dead, and they carried her out and buried her beside her husband. (11) And great fear came upon the whole church and upon all who heard of these things. I am not sure where to begin, so I will simply begin. Over a decade ago, a great evil occurred in our church. Initially, as it was the first time most of us had had to deal with such a thing, it took some sorting out. Immediately we informed the perpetrator he could no longer be present in our church (for the protection of the victim). We reported the matter to the police. He and his family left our church. 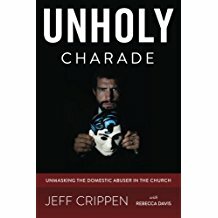 Subsequently, I studied this matter of abuse (in its multiple forms) and eventually preached a 22 sermon series on the specific subject of domestic abusers hiding in churches, exposing not only them but the typical ways local churches and pastors covered for the wicked and oppressed the victims. That sermon series is still available at sermonaudio.com/crc. And ultimately I wrote my first book on the same subject, A Cry for Justice. What was the outcome? Justice for the perpetrator. Validation for the victim. All’s well that ends well, right? Not so fast. Ultimately many people left us. Our church now has about 30 people in it. One or two people became so hostile that we did not “forgive and forget” the whole matter that they became antagonistic and divisive and eventually had to be put out of the church. We are labeled. Unforgiving. Mean-spirited. Made a mountain out of a mole hill. In other words, standing for righteousness proved to be quite costly. But only in the short term. On that Day it will not be those who stand for victims of oppression who are going to pay the real price. Professing Christians in large part do not fear the Holy, Holy, Holy God. They look upon sin quite lightly and convince themselves that God does as well. They think, in the end, that Ananias and Sapphira got a rather raw deal, and that their case was not the norm. You see, if we deal with sin in the church as Christ has commanded us to do, if we do not even eat with a person who says they are a Christian but lives like the devil (1 Cor 5) then suddenly sin rattles our world. Old Mr. Smith the deacon who, it turns out, has been abusing his wife for years, is suddenly put out of the fellowship and his evil exposed. The business is scary. Earth-shaking. Uncomfortable. Why, if I do what he did, I just might be the next to be expelled. Jos 7:24-25 And Joshua and all Israel with him took Achan the son of Zerah, and the silver and the cloak and the bar of gold, and his sons and daughters and his oxen and donkeys and sheep and his tent and all that he had. And they brought them up to the Valley of Achor. (25) And Joshua said, “Why did you bring trouble on us? The LORD brings trouble on you today.” And all Israel stoned him with stones. They burned them with fire and stoned them with stones. Whoa! Poor Achan. Man, he said he was sorry. Today (you know this was Old Testament stuff) we hug Achan and tell him everything is ok. We tell him he is forgiven and no one is to ever mention what he did again. Grace that is greater than all our sin, you know. Makes us feel really warm and fuzzy and good. But then there is that troublesome account of Ananias and Saphhira. Hmmmm….book of Acts. I think that is in the New Testament. Maybe things haven’t changed quite as much as so many professing Christians would like? And that is exactly right. God has not changed. God is holy, holy, holy today and always. Do not be deceived, God is not mocked. Whatsoever a man sows, that he shall also reap. Professing Christians today (and I say “professing” purposely because far more who claim to be Christians are in fact unconverted) do not fear the holy God. That is why they want to treat even the most evil sins in the ranks of the church so lightly. It is why they want to forgive and restore a pastor who has been involved in shocking or even criminal sin. Because if in fact we are required by God to tell such people they should fear God’s wrath, if we seriously hear the Apostle Paul tell the Corinthians that a number of them are weak and sick and some are DEAD! for mocking the Lord’s table, then – well, hold on just a minute…. Heb 10:26-31 For if we go on sinning deliberately after receiving the knowledge of the truth, there no longer remains a sacrifice for sins, (27) but a fearful expectation of judgment, and a fury of fire that will consume the adversaries. (28) Anyone who has set aside the law of Moses dies without mercy on the evidence of two or three witnesses. (29) How much worse punishment, do you think, will be deserved by the one who has trampled underfoot the Son of God, and has profaned the blood of the covenant by which he was sanctified, and has outraged the Spirit of grace? (30) For we know him who said, “Vengeance is mine; I will repay.” And again, “The Lord will judge his people.” (31) It is a fearful thing to fall into the hands of the living God. Most professing Christians do not believe this. This is not their god. They have no fear of the Holy One. And THAT is why they will not act in holy obedience to the Lord when an Achan or an Ananias or a Sapphira crops up in their midst. Like the Corinthians whom Paul chastised, they arrogantly boast of their “graciousness,” embrace the wicked man, tell the victim to embrace him too or leave, and everyone sings another chorus of Jesus Paid it All. ‹ PreviousA Vital Sermon to Hear – What is Wrong with the Visible Church Today?